Stunted Shardhorn - Around Nessingwary Base Camp, Dreadsaber's like to kill them, so kill Dreadsaber's first! We'll just sticky and add to yours if that's okay. 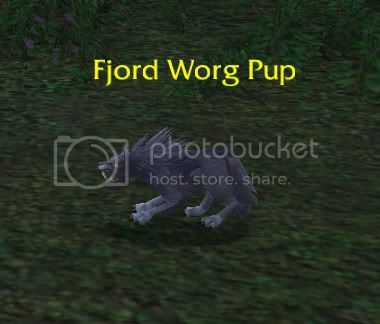 Where did you find the Worg Pup? I had a fly through the Fjord when the patch came out and I couldn't find any. I found them on the island Kamagua. Lot's of them arround. 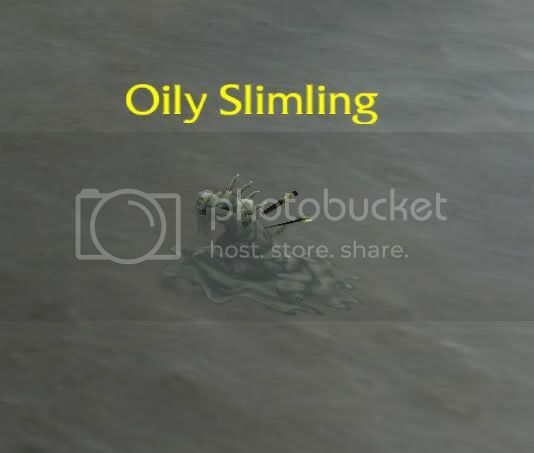 Oil Slimling found at Scalding pools (in the area with the oil-stained creatures) in Borean Tundra. Evilgnomey wrote: Oil Slimling found at Scalding pools (in the area with the oil-stained creatures) in Borean Tundra. The Rainbow Trout in Grizzly Hills are MIA. The Bears are still fishing, but they aren't catching any fish! They are showing up in the Pet Journal, so hopefully Blizzard are getting them ready to be wild pets! Wamo wrote: The Rainbow Trout in Grizzly Hills are MIA. The Bears are still fishing, but they aren't catching any fish! They are showing up in the Pet Journal, so hopefully Blizzard are getting them ready to be wild pets! I doubt Blizzard would give us any aquatic pets that weren't floating around in bubbles. Keep in mind, there are a lot of things in the journal that are temporary pets for quests or npcs. Still, I would love to see that. I have some great screenshots of my main and her trout from back when Critter Bites worked on them. It was awesome. I'd love it if we could catch aquatic pets in the water, then when summoned on land they appear in bubbles. Well, the sea horse and puffer fish pets come bubbled. Why wouldn't other fully acquatic* pets? *ones that would do their best Magikarp impression if they were brought out on solid land. Only certain ones of these listed pets are actually tameable. One per zone is all I've found so far. Stunted Shardhorn - Near Nesingwary's Camp in Sholazar Basin. Oily Slimling - The Geyser Fields in Borean Tundra. Dragonbone Hatchling - The Dragon Wastes in Dragonblight. Where did you find the Zul'Drak, Sholozar, Icecrown and Stormpeaks ones? Doobjanka wrote: Where did you find the Zul'Drak, Sholozar, Icecrown and Stormpeaks ones? Whelpling was near Sindragosa's fall. Rhino was in the west (where all the Rhino mobs hang out). Wavelings were with the big Water Eles, forgot exactly where though. I haven't seen the Fox yet. Not that exciting, but Icecrown has cockroaches you can battle. Borean Tundra has Borean Marmots, Arctic Hares, and Shore Crabs. Oddly, they phase out when you get the Kvaldir mists effect. I found my arctic fox kit in the middle of the minefield in the Storm Peaks. Made getting close enough to battle a bit of a trick. Storm Peaks also has Mountain Skunks. Zuldrak has Snakes and Spiders. Water wavelings are at Drak Sotra, south of the Argent Stand. Grizzly Hills also has Grizzly Squirrels and Mountain Skunks. The imperial eagle hatchlings seem to be all over. i've been finding Tundra Penguins while battling Oily Slimlings.